The latest firmware update to 2011 Bravias brings plenty of added functionality, including laptop control. Receivers, Blu-ray players and TVs are more and more frequently offering customers the ability to control their devices via a smartphone or tablet. If you can control your set from a less capable device, why not a laptop? 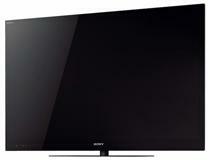 That very functionality is being implemented in the newest update to Sony's 2011 Bravia televisions. You'll be able to control different aspects of the set through your laptop including, thankfully, apps that would normally require you to pick letters one-by-one with your remote. Also new to the TVs are YouTube HD for your high definition Epic Meal Time enjoyment and Facebook integration allows you to share those YouTube videos with your friends. Another new feature is the Twitter Ticker, which displays messages from your Twitter feed across the bottom of your screen as you watch. Could be a fun setup for sharing your thoughts on the game, the Oscars or whatever event you watch with friends.